There are days I don't have an assignment and am not working on a personal project, but still want to take photos. These are good days for mini-assignments to help keep my creative juices flowing or to help me see things I might otherwise be missing. Last week, I had a couple of hours free in New Orleans and thought I'd do just that. 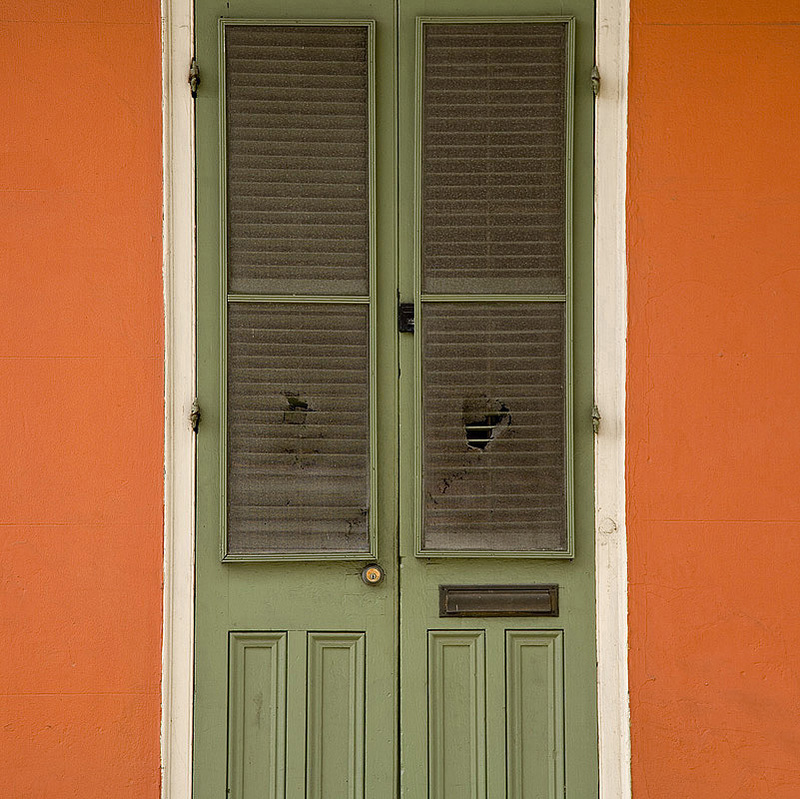 I love all the old walls in the French Quarter, so I decided that would be my subject. It was immediately evident that my wall-only shots were deadly boring. But including connecting elements--such as doorways or window frames, gave me a bit more to work with compositionally. That point at which two aging wall surfaces meet was also intriguing. More often than not, these elements added strong lines (often very crooked ones) and contrasting colors. What I had not counted on that morning was fever and body aches, so I didn't dig nearly as far as I'd like into the subject. Still, I offer these few images to show how you can do something creative, productive and fun even when you have a minumum of time. Try it the next time you're on a trip or maybe even just stuck around the house. Look for squares, circles or triangles; focus on red, yellow or blue objects; seek out lines, patterns or textures....the possibilities are endless. Have fun!